Thank you so much for having me as a guest blogger today. 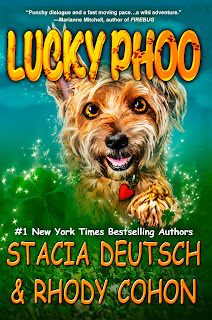 I am shy that my book is about a lucky dog, and think that I should probably come back as soon as I write the sequel about a lucky cat. I’ll get on that right away. Should I duck for cover as I admit I am a dog-lover? 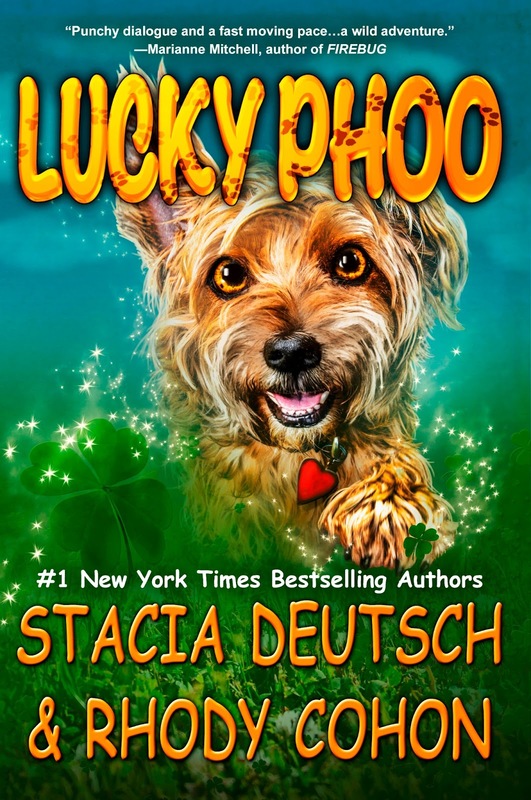 When the idea for LUCKY PHOO came to me, I discussed it with my writing partner Rhody Cohon. She has a strange array of pets, ranging from turtles to guinea pigs. I guess, the dog won out because for our books, I do most of the writing and she does editing, research and marketing. I knew the most about dogs and had just adopted one from a shelter for my mom. This is a book of my heart. I love writing for young tweens and am a very girly girl at heart. A story about three girls, a magical dog, fashion, movies, and romance – I couldn’t wait to get started. The characters were kids we knew. The complexities of their lives felt familiar. This cute little dog comes in and seems to make everything better for a while. Who wouldn’t want a little Phoo? The book was actually much more difficult than I ever thought. In fact, in many ways it was the hardest book I’ve written. I wanted the magic to be clear, but vague. I wanted the girls to feel Disney-esque and the action to move quickly. I wanted so many things at the same time – the book took well over a year to finish and went through many drafts. That said, you should know I generally write very fast. In the past ten years, I’ve worked with Rhody on more than sixty books. I take ideas and spin them out as fast as my fingers can type. Together, we’ve been published for more than ten years and have been on the New York Best Seller List twice. This one moved slowly for me. I wanted to get it in a certain way and I knew, once I finished the book, it was going to go out as my first small press eBook. Although the book is available in paperback, I am really hoping to attract young readers to it electronically. The electronic market is exciting and it’s my hope that this book will break barriers for younger readers who are just starting to find eBooks. The 7-11 market is a tough one for electronic reading and I was warned before I started this venture that it would be an uphill climb, so I did a little research. I asked my friends if their kids were reading electronically – like my daughter. The answer was a resounding “Yes” and gave me the motivation to press through with my plans for the book. I really love this story. It’s fun and filled with adventure, friendship, and a touch of magic. I hope the tweens in your life enjoy it too. What an adorable book/dog. Would love to read this. This looks like something Vlad would love our 6th grade grandskin to read to him! He loves being read to no matter what she sits down with. Your blog giveaways are so generous!! Thank you. I hope to be able to read/review these for my site. It would be a great addition.